Gosh this year is already flying by. 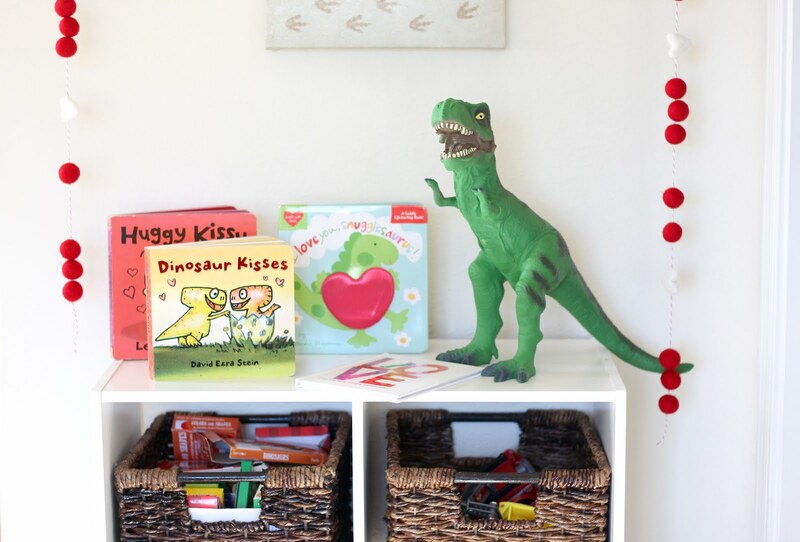 Valentine's is just a couple days away and I thought I would share Hudson's little play area. 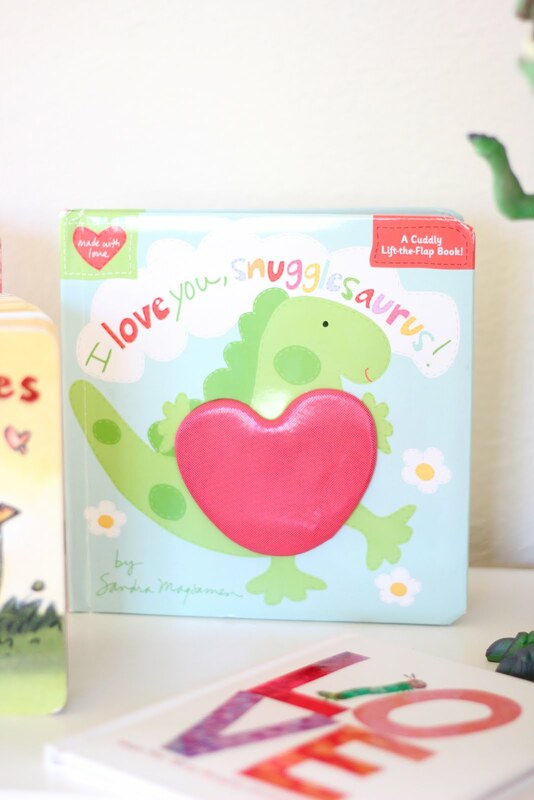 I always feel like little boys get a little left out during Valentine's Day. Everything is pink, glittery, hearts, and sparkles. Which I love! However, I am out numbered in my household so I have to get creative. 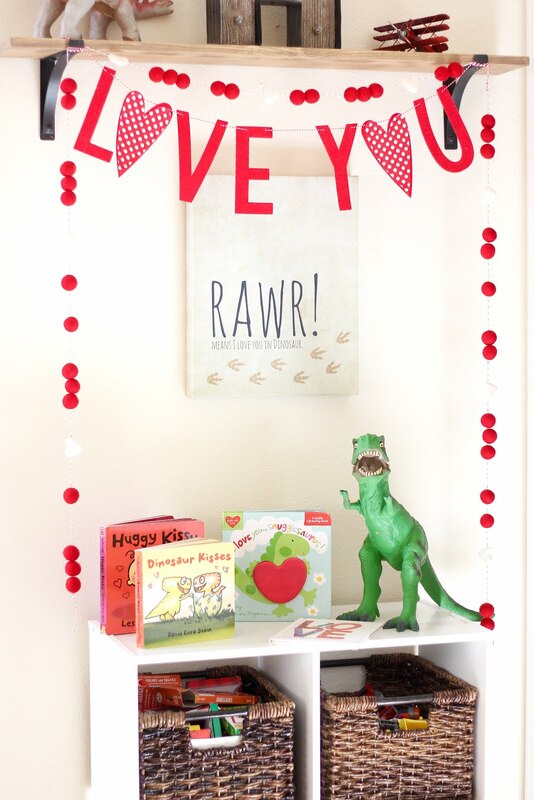 I love that Pearl and Jane creates V-Day garland that is fitting for a boy too! 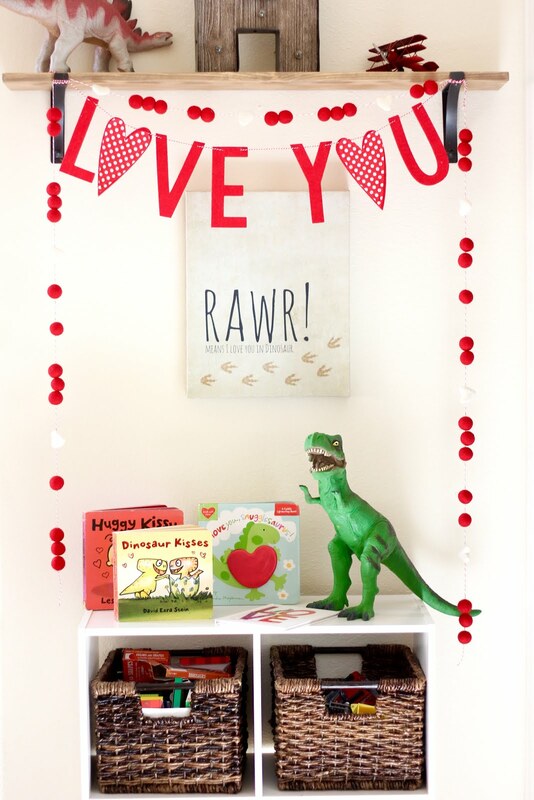 I knew that this "LOVE YOU" garland would be perfect above Hudson's dinosaur sign! I mean it couldn't have been more perfect. 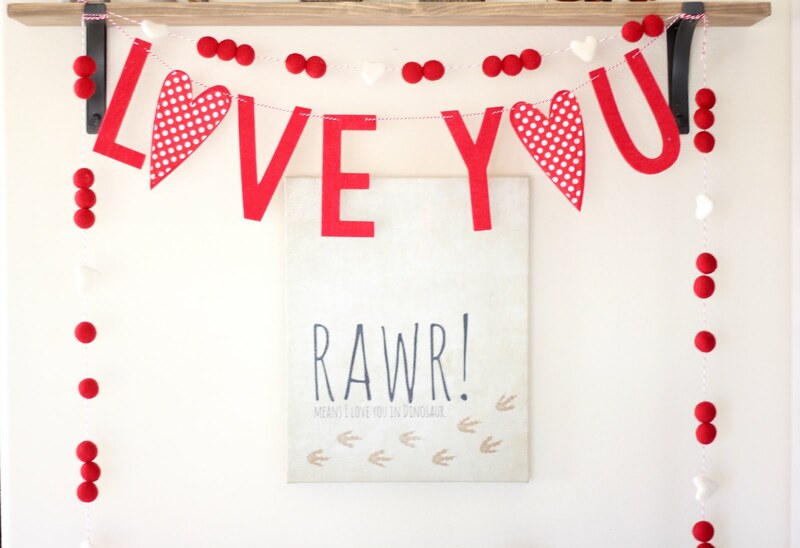 I also love this felt ball and heart garland that is gender neutral. 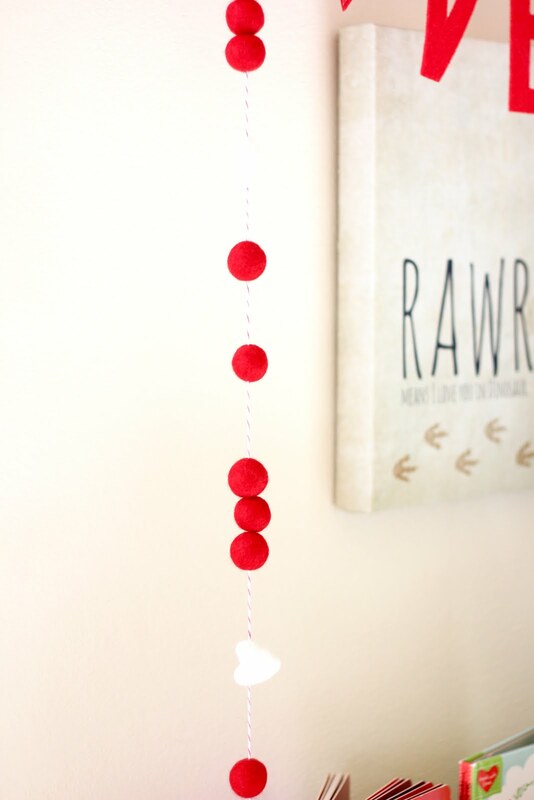 I get all my holiday garlands from Pearl and Jane and she has so many different styles, colors, and options to choose from. 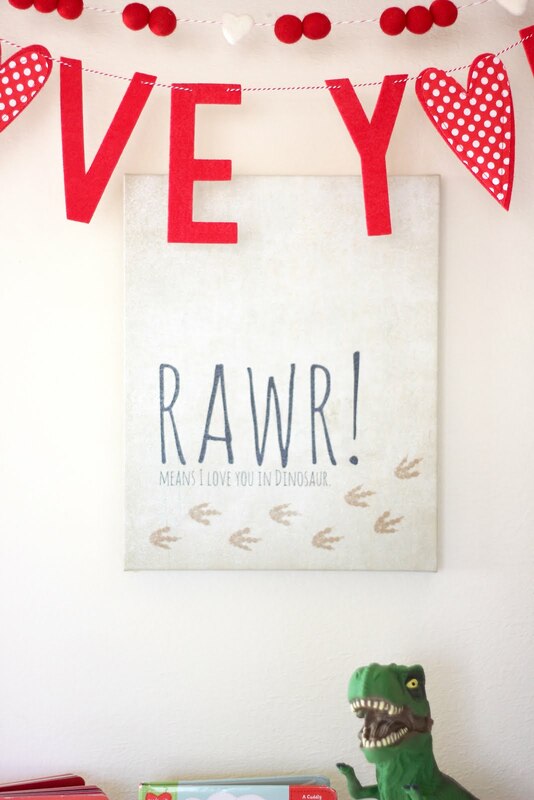 St. Patricks day is just around the corner and this garland is the cutest! Also, gender neutral. 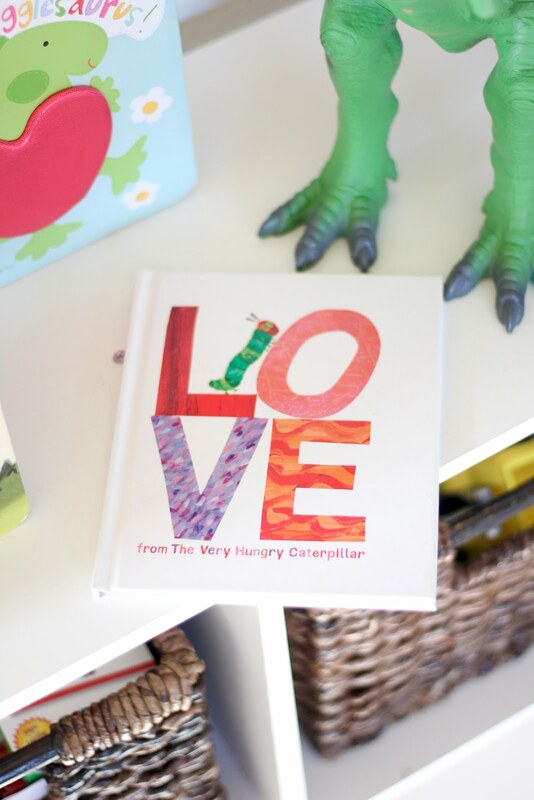 I also linked a few of our favorite Valentine Books (all on Amazon so plenty of time to get there here to read to your littles) that are perfect for little boys. 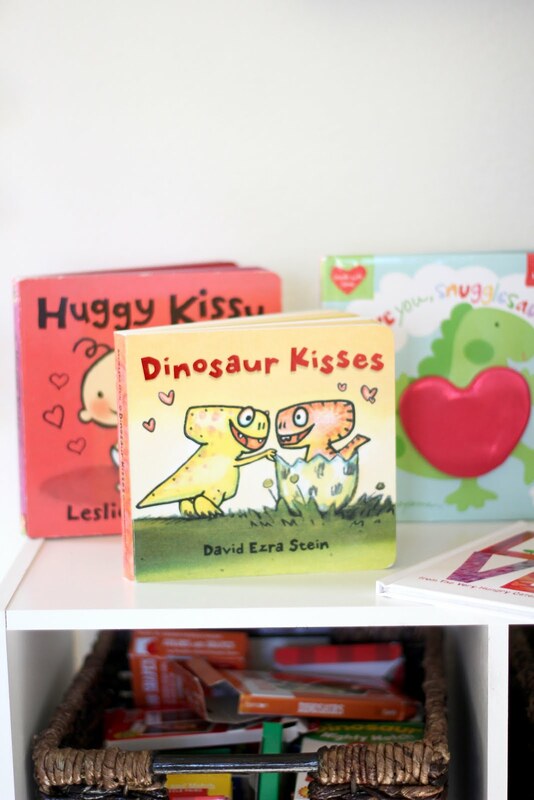 The dinosaur ones are so sweet and cute!